Celebrities With Hypothyroidism | Crank It! One thing about diseases is that they’re a great leveler! They don’t care if you’re the world’s most famous or wealthiest person, a powerful politician, or someone who lives in relative obscurity in the back of beyond. 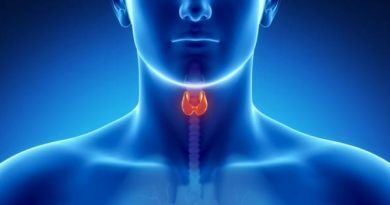 When it comes to thyroid problems, they can strike anyone, at any time although they do have certain age and gender preferences. For instance there are a number of celebrities with hypothyroidism or hyperthyroidism. Some, like Oprah Winfrey, have had both. Here are a few celebrities who have battled with their thyroid. When supermodel Gigi Hadid decided to investigate the reasons for the inflammation and water she was retaining that was leading to unkind remarks about being too ‘big’ for modelling, the diagnosis was Hashimoto’s disease. 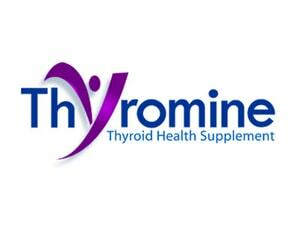 This is the leading cause of hypothyroidism in developed countries like the US. At just 23 Gigi also proves that anyone can get this at any age, although the most common age bracket is menopausal women. She may have won a Golden Globe but it didn’t stop her from developing Hashimoto’s disease. Like Gigi, Gina Rodriguez began feeling very unwell at a very young age. Eventually she was diagnosed with this under active thyroid disorder that causes hypothyroidism. Gina manages her condition by ensuring she eats well and stays fit. Even in trekking around the stars in outer space is no insurance against thyroid disease, especially if it runs in your family. Zoe Saldana knows all too well what living with Hashimoto’s thyroiditis is like. Her mom and her sisters also have it. Zoe says removing gluten and dairy products from her diet has helped her fight the inflammation and fatigue that goes with the disease. Victoria Justice is another celebrity who struggles with Hashimoto’s disease. She sought out the assistance of an acupuncturist, who insisted she ditch sugar, dairy and wheat (gluten) as well, an experience she describes as ‘intense’. From co hosting Dancing With The Stars to dealing with thyroid cancer after battling Hashimoto’s disease for 10 years, Brooke is living proof that sometimes this condition can develop into something much more sinister. Now she is on a mission to encourage others to spend the time it takes to get checked out thoroughly, at least once a year. Sofia Vergara didn’t even know she had thyroid problems until her son’s endocrinologist spotted a lump in her neck that turned out to be thyroid cancer. After having the thyroid removed, Sofia now has hypothyroidism which requires her to pop a daily thyroid hormone pill. Just as Hashimoto’s disease is the leading cause of hypothyroidism in developed countries, Graves disease is the leading cause of hyperthyroidism, the thyroid condition at the other end of the spectrum. It’s a disease that talk-show hostess Wendy Williams is now familiar with, having been diagnosed with the disease after fans queried her bulging eyes, one of the common symptoms of the disorder. Well known for her interesting performances that hide her face, Sia Furler may have had good reason if she was experiencing some of the facial symptoms that go with Graves’ disease. However, the quirky singer songwriter says it’s because she doesn’t really want to be famous. Missy Elliott is one lady who knows what it feels like to be at the mercy of thyroid disease. She says she was so sick with it she pretty much couldn’t function. However, these day’s she living testament to the power of the human spirit to conquer diseases like Graves disease, something she’d been diagnosed with in 2008. Oprah Winfrey‘s struggles with her weight are well known, and it turns out she has had good reason to be feeling off colour and out of sorts with the world. She developed hyperthyroidism, which left her running perpetually on hyper mode. Then her thyroid turned around and went back the other way, a reasonably common situation. It also led to her public weight gain and her becoming an advocate for Jenny Craig and a healthy lifestyle. Rod Stewart is proof that thryoid problems can strike men too, although it’s more common in women. The legendary rocker was diagnosed with thyroid cancer in 2000. Fortunately for his legion of fans around the world, thyroid surgery hasn’t impaired his already husky voice. There are many more celebrities with hypothyroidism, hyperthyroidism and other thyroid disorders as you can see from this list.